A series of coordinated, deadly attacks at an estimated seven locations around Paris on Friday, including a concert hall, soccer stadium, and restaurant that killed at least 125 people and injured another 200 in what officials called the worst act of terrorism since 9/11. French President Francois Hollande declared a state of emergency and shut all national borders in response to the crisis. The city announced the closure of all schools, museums, libraries, gyms, swimming pools and markets on Saturday. Disneyland Paris outside the city was also closed. Attackers took dozens of hostages at the popular Bataclan concert hall, where an American band called Eagles of Death Metal was performing. But when police stormed the venue hours later, 87 people were found dead. 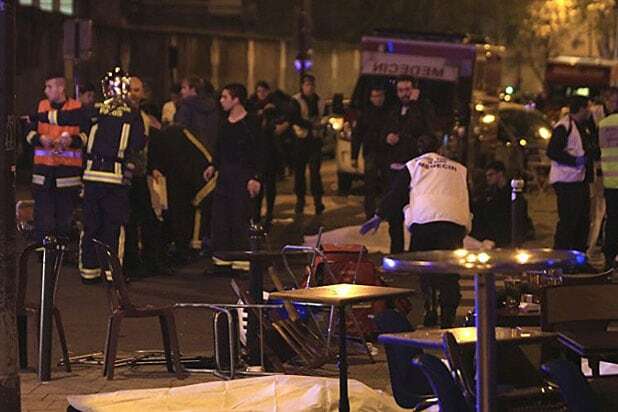 By Saturday morning, The Guardian reported that the death toll was about 125 with victims in multiple locations, including 87 shot dead at the Bataclan. Another 18 were killed at Boulevard de Charonne, 14 at Rue Alibert and five at Rue de la Fontaine. There were more deaths reported as well. Paris prosecutor Francois Molins said that “some” people were killed at the Stade de France, but it was not clear whether they are attackers or victims. A French prosecutor said that eight attackers have been killed, seven of them in suicide bombings. But police are still hunting for additional assailants as well as accomplices. French police launched a raid on the concert hall, killing up to three gunmen and freeing an undetermined number of concert-goers, according to news reports. Agence France-Presse also cited a witness who claimed the attackers shouted “Allahu akbar” (“God is great”) before firing into the crowd, which was reportedly as large as 1,500. Just north of Paris, at least three explosions were reported near France’s main sports stadium, which prompted the evacuation of French President Francois Hollande. The blasts took place early in the game, which proceeded until its conclusion. 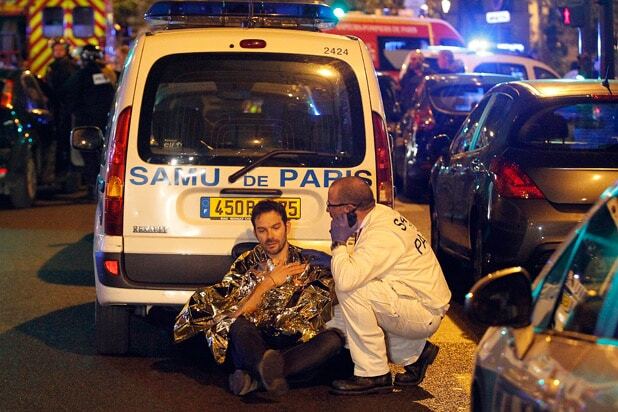 French police stated that at least two of the explosions were carried out by suicide bombers. A police official speaking on the condition of anonymity also told the AP on Friday that 11 people were killed in the Cambodian restaurant targeted in the attack. Hollande addressed the nation in a televised speech, declaring a state of emergency and closing the French border in wake of the attacks. “We stand prepared and ready to provide whatever assistance the people of France and the government need to respond,” he continued. President Obama also said he had not yet contacted President Hollande, but had coincidentally spoken to him earlier in the day in preparation for the G20 Summit. Comparisons were immediately drawn to the Charlie Hebdo attack in January, when gunmen stormed the satirical newspaper that had printed images of the Muslim prophet Muhammad, killing 12 and wounding 11.